If you love making fresh flower arrangements, planting a cutting garden is the best way to ensure you will always have lots of beautiful, homegrown flowers, ready for the picking. The purpose of a cutting garden is different from a regular flower garden. You don’t need to worry about design basics like style, flow, scale and symmetry. In a cutting garden, it’s all about production, and the measure of your success is abundance! 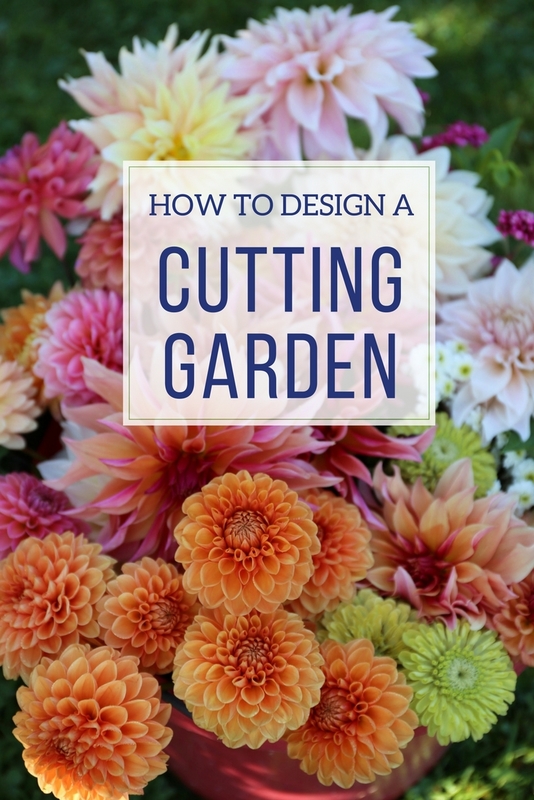 For a backyard cutting garden, there are just three things you want to think about: maximizing production, minimizing maintenance, and growing flowers that look great together in a vase. When making your wish list, start with long-stemmed annuals, perennials and bulbs — they make the best cut flowers. In addition to choosing flowers that you like, you’ll want to think about bloom times. Spring bulbs, for example, bloom early and then fade away until next year. Early summer perennials such as peonies, iris, sweet William and lupines bloom for up to a month, but then rest until the following year. 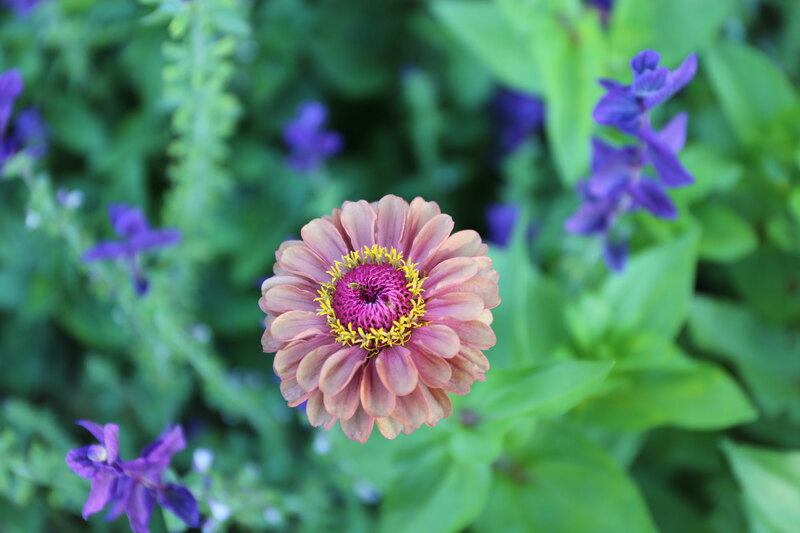 There are some perennials, such as Shasta daisies, delphinium and coreopsis, that will re-bloom if you cut them back after flowering. 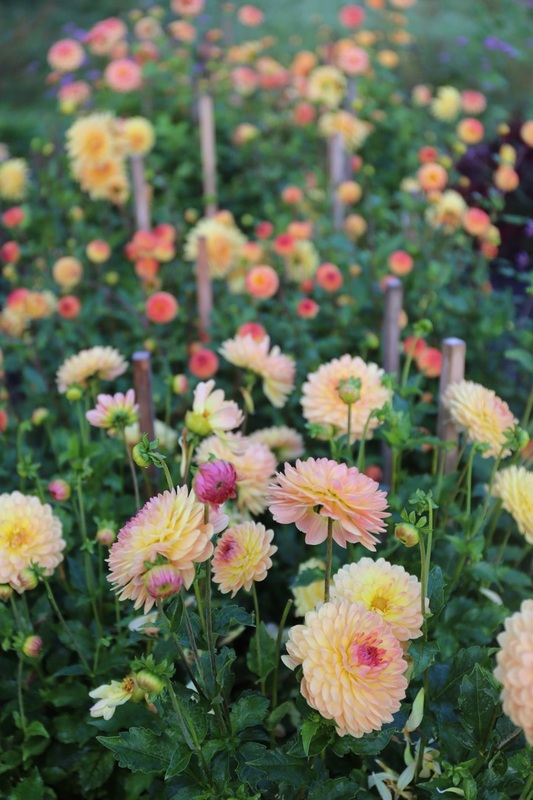 Annuals (and dahlias) have the longest flowering season. As long as you remove spent blossoms, they will usually bloom continuously for at least 2 or 3 months. A tool such as our Bloom Time Chart is useful for planning a continuous supply of flowers. If you have a relatively small space to work with, start by choosing a color theme. Then select a palette of flowers that will harmonize with those colors. Take a tip from floral designers and include a range of different flower sizes and shapes. Consider round flowers (ball dahlias), angular ones (foxgloves); soft ones (peonies) and stiffer forms (glads and salvia). 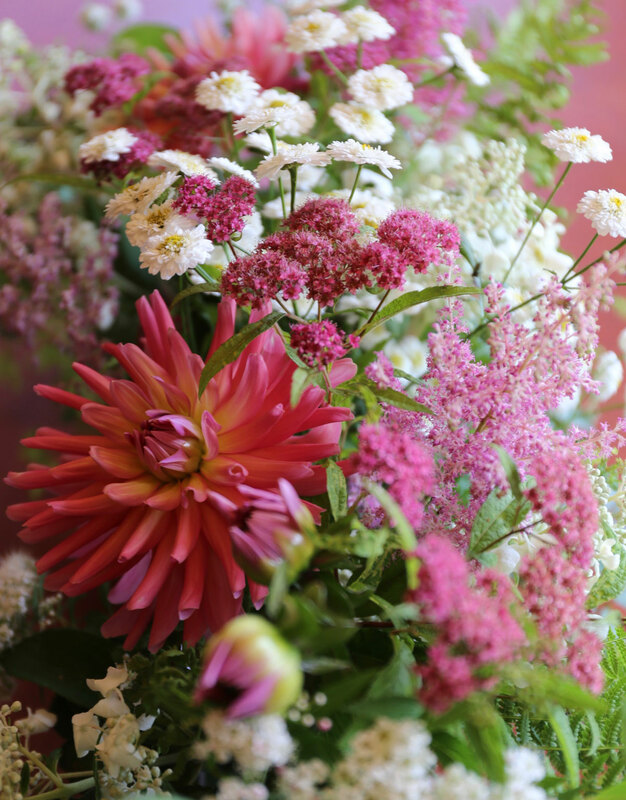 You’ll also want to include flowers that work as fillers (baby’s breath, ammi majus and asters). 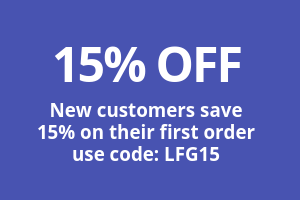 And don’t forget about foliage plants. They make the showy flowers go further and will give your arrangements a professional touch. Give your cutting garden a sunny spot with well-drained soil. Prepare the planting area, making sure it is loose and weed-less. 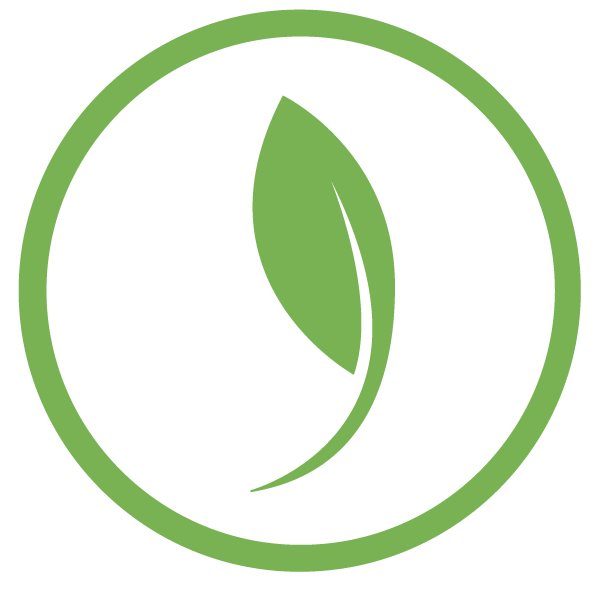 If possible, take time to work in compost and all-purpose organic fertilizer. The most efficient way to set up a cutting garden is to grow your flowers in rows, as you would vegetables. In fact, growing a row or two of flowers in your vegetable garden is an easy way to get started. Creating a planting plan is the best way to maximize your growing space. Use a grid (paper or digital) to make your plan. This makes it easy to determine how many plants can be squeezed into each row. Your finished planting grid can then be transferred to the garden. When working out your planting plan, you need to have a sense of each plant’s mature height and width. Use the recommendations on plant descriptions and seed packets as a guide, and then reduce the spacing by about 30%. With experience, you’ll get a sense of which plants need a little more or a little less than the recommended amount of space. 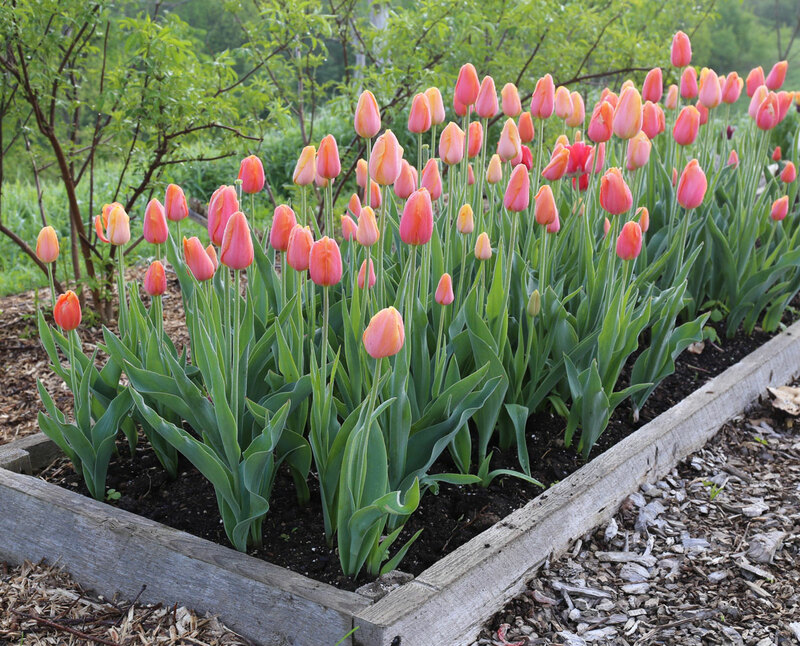 Standard spacing for plants in a cutting garden is 6”x6”, 9”x9”, 12”x12” and 18”x18” on center. For example, zinnias and snapdragons can usually be planted on a 9”x9” grid; queen Anne’s lace, cosmos and amaranth will need 12”x12” spacing; dahlias and sunflowers need 18”x18”. To make plant care (and picking) as easy as possible, it’s best to plant blocks of the same type of plant, keeping like with like. Plant perennials together, since they will stay in the same place from one year to the next. Plant annuals together so it’s easy to remove them in the fall and replant each spring. You can also separate plants that need staking (dahlias and delphiniums) from those that need a fence (sweet peas) or benefit from grow-through netting (snapdragons and bachelor’s buttons). Your cutting garden should be easier to maintain than a regular flower garden. Ideally, you will spend almost all of your time cutting flowers and very little time weeding. Start with the paths. As soon you have planted the beds, cover up the paths with landscape fabric, black plastic, cardboard, straw or some other material that will stifle weed growth. Mulching the pathways also helps to reduce evaporation and retain soil moisture. Local market gardeners who grow cut flowers, often cover their planting beds with black plastic. Then they burn or cut holes in the plastic to give each plant its own spot. This may not be a very practical approach for backyard gardeners. But if you plant densely, the plants will shade the soil and keep weed growth to a minimum. In a cutting garden, deadheading will be your primary maintenance task. Removing spent flowers encourages annuals (and some perennials) to continue producing buds. If you don’t remove the dead flowers, plants assume they have fulfilled their mission and can shut down for the season. Another good reason to keep up with deadheading is plant health. As spent flowers begin to decay, they become a magnet for pests and diseases. A tidy cutting garden stays healthier, is easier to tend and looks better, too! 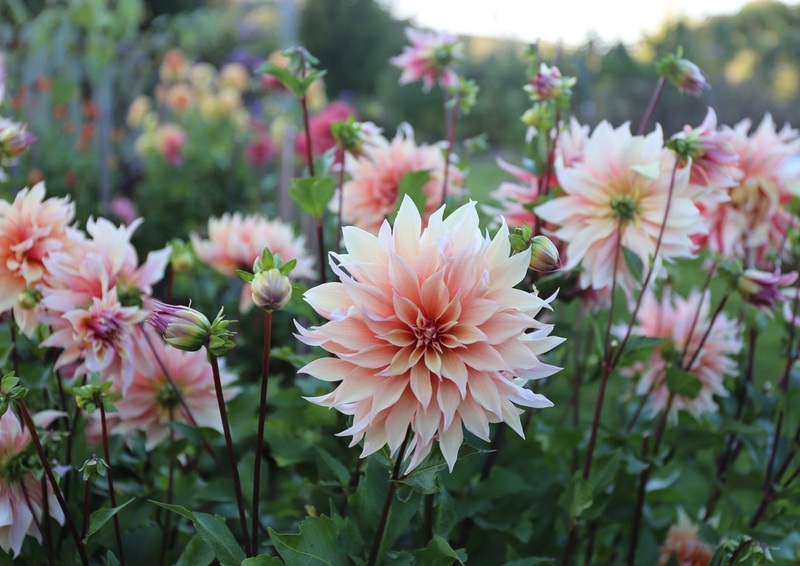 Learn more about cutting gardens here: Dahlia Flower Types and Sizes, Fragrant Flowers for Homegrown Bouquets, Top 10 Flower Bulbs for Cutting Gardens, and How to Make Cut Flowers Last Longer. I don’t get much sunlight in my back yard. I have set up some exterior greenhouse led lights (about 2000 watts led) for a 6 x6 area. What container flowers would recommend? I have already purchased dahlias, peonies, and gladiolas. I like to grow in containers and bring them indoors when they flower. Hi Raymond – I have never heard of using grow lights outdoors — a creative solution! 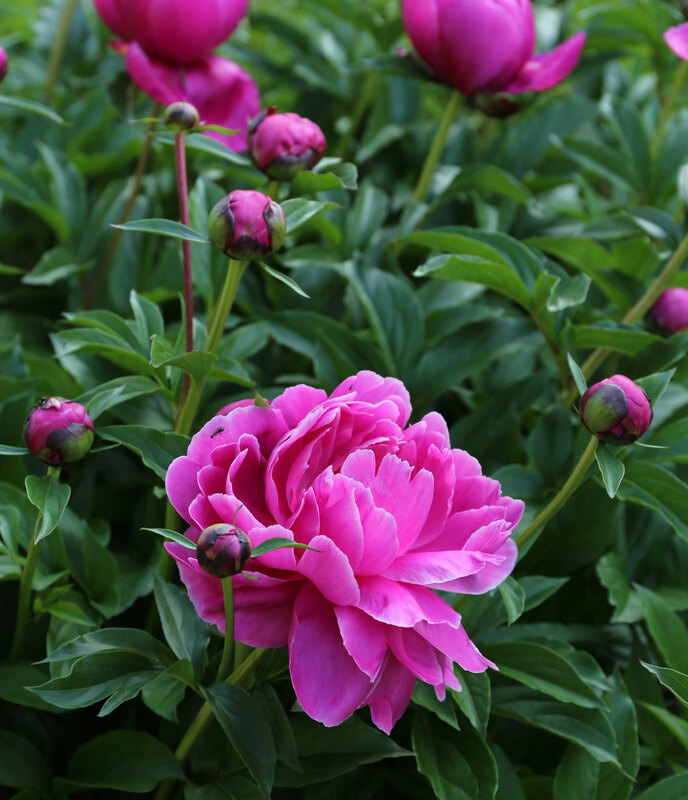 Peony plants take several years to begin producing flowers and I don’t think you will have success growing them in containers. 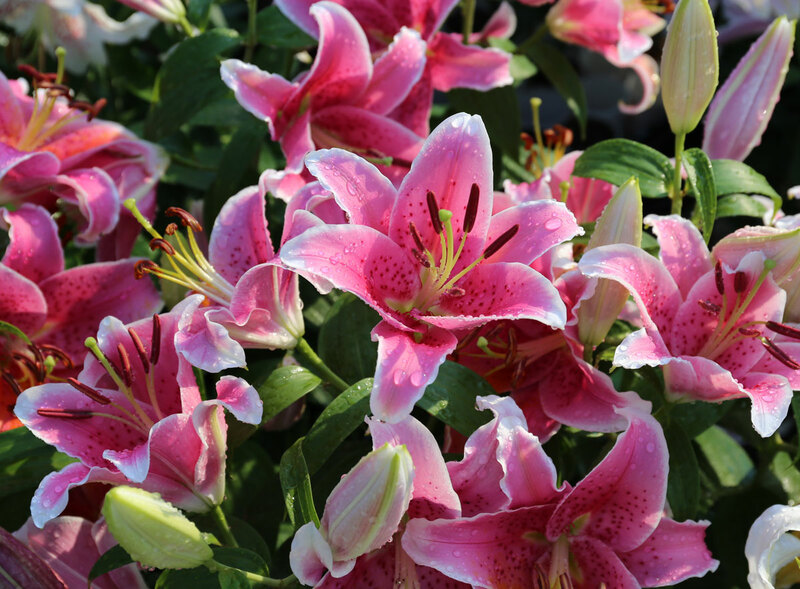 In addition to trying dahlias and gladiolas, you should definitely try growing Asiatic and Oriental lilies and calla lilies — they are commonly grown in greenhouses for cut flowers. You could also purchase some tropical plants to enjoy during the summer months such as hibiscus or bougainvillea. Geraniums are super easy and will give you lots of color. Good luck! Love the idea of a cutting garden. How elegant. A miniature cutting garden doesn’t require much space or much work! Thanks for such a lovely description of the possibilities. A adore queen Anne’s lace and cosmos. 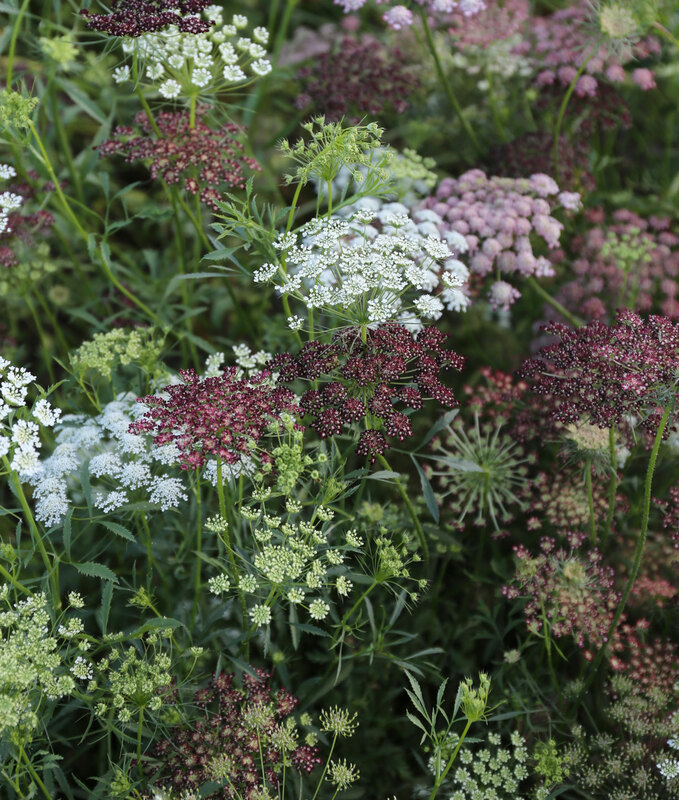 Have you grown the Queen Anne’s lace called ‘Dara’? Beautiful variations of burgundy and old rose. 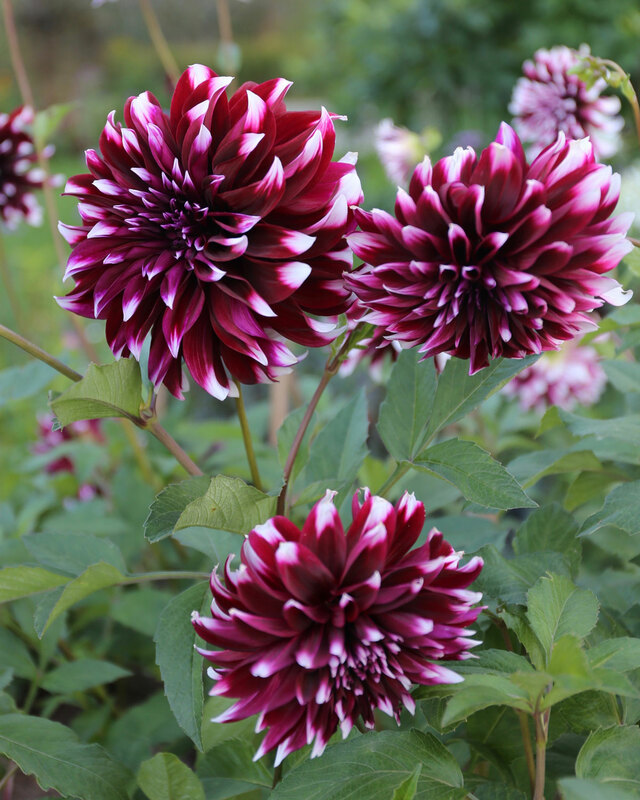 What varieties are the dahlias in the photos immediately above and below the title “How the Maximize Production”? They’re gorgeous! 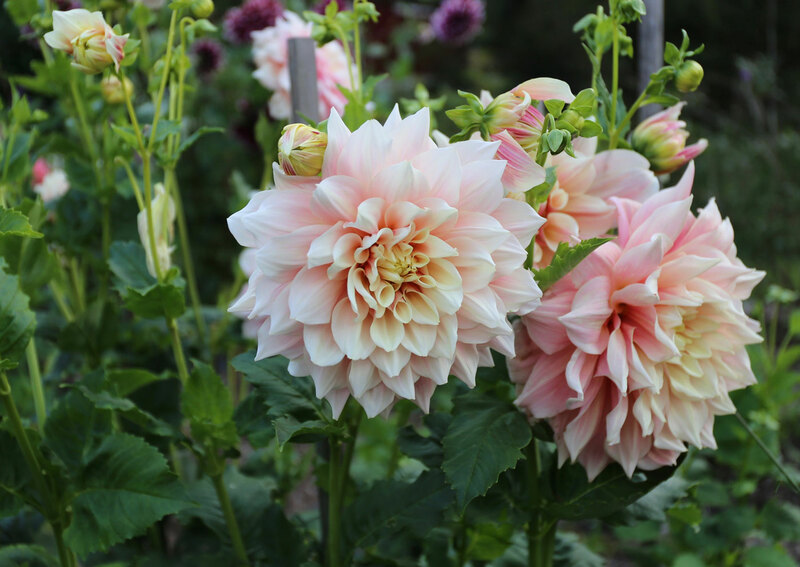 Hi Laura – The dahlia above that subhead is Labyrinth. Unfortunately it’s not available this year due to a crop failure. We hope to have it back in stock next spring. The other dahlia is Gabrielle Marie. It’s not a variety that Longfield Gardens offers, but I have grown it for many years. Very reliable and produces tons of flowers. Many photos show it as more orange than this, but mine are always a pale yellow/soft peach.